How the FOMC Really Works? Have you ever taken a close look at paper money? Each U.S. bill has the words “Federal Reserve Note” imprinted across the top. But many individuals may not know why the bill is issued by the Federal Reserve and what role the Federal Reserve plays in the economy. The Federal Reserve, often referred to as the Fed, is the country’s central bank. It was founded by Congress in 1913 to provide the nation with a safer, more flexible, and more stable monetary and financial system. Prior to its creation, the U.S. economy was plagued by frequent episodes of panic, bank failures, and limited credit. The Fed has four main roles in the U.S. economy. In addition to its other duties, the Fed has been given three mandates with the economy: maintain maximum employment, maintain stable price levels, and maintain moderate long-term interest rates. The Fed maintains the stability of the financial system by providing payment services. In times of financial strain, the Fed is authorized to step in as a lender of last resort, providing liquidity to an individual bank or the entire banking system. For example, the Fed may step in and offer to buy the government bonds owned by a particular bank. By so doing, the Fed provides the bank with money that it can use for its own purposes. If you follow financial news, you’ve probably heard many references to “the Fed” along the lines of “the Fed held interest rates,” or “market watchers are wondering what the Fed will do next.” So what exactly is the Fed and what does it do? The Federal Reserve — or “the Fed” as it’s commonly called — is the central bank of the United States. The Fed was created in 1913 to provide the nation with a safer, more flexible, and more stable monetary and financial system. The Federal Open Market Committee (FOMC) is responsible for setting U.S. monetary policy. 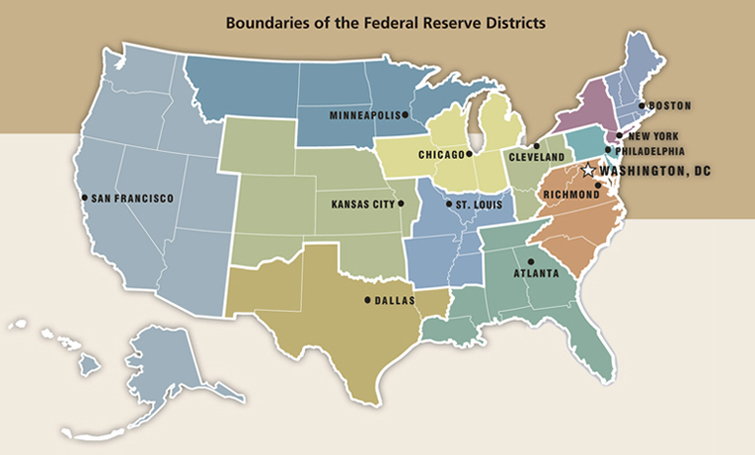 The FOMC is made up of the Board of Governors and the 12 regional bank presidents. The FOMC typically meets eight times per year. When people wait with bated breath to see what the Fed will do next, they’re usually referring to the FOMC. People often look to the Fed for clues on which way interest rates are headed and for the Fed’s economic analysis and forecasting. Members of the Federal Reserve regularly conduct economic research, give speeches, and testify about inflation and unemployment, which can provide insight about where the economy might be headed. All of this information can be useful for consumers when making borrowing and investing decisions.